In the 1990s, much of the little community of Avila Beach was demolished after an underground oil leak from a nearby tank farm was discovered. 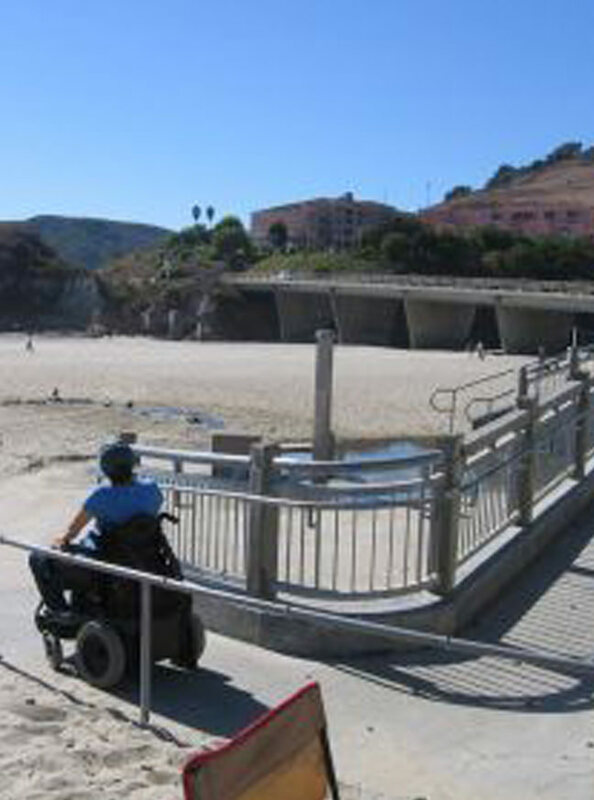 Now its waterfront, which curves around a cove with a wide, sandy beach, has been almost entirely rebuilt, and wheelchair riders will find easy access to both beach and town. Accessibility: •Accessible Visitor Center: Yes •Beach Wheelchair: Yes •A manual beach wheelchair is available at the Lighthouse Suites Hotel, one block from the beach at 550 Front Street. Call first for availability. The Beach Cruzr, a motorized beach wheelchair, is available from the Central Coast Assistive Technology Center, www.ccatc.org. Reserve at least 48 hours in advance: (805) 748-2434. •Accessible Parking: Yes •At the foot of San Juan Street •Accessible Restroom: Yes •Next to Avila Pier and on beach side of Ocean Park •Accessible Picnic Tables: Yes •Next to the basketball courts at Ocean Park •Other Things of Interest •On the weekends, a free accessible trolley stops throughout town and at a trailhead for the Bob Jones City-to-the-Sea Trail.